This AETHIS own developed TrafMon technology originates from the time-critical stringent communications quality performances of the worldwide Ground Segment network underlying the provision of advance Integrity services by GALILEO, the European Satellite-based Positioning System. TrafMon monitors in details all IP packets or every (directional) traffic flow over one or several network communication links. 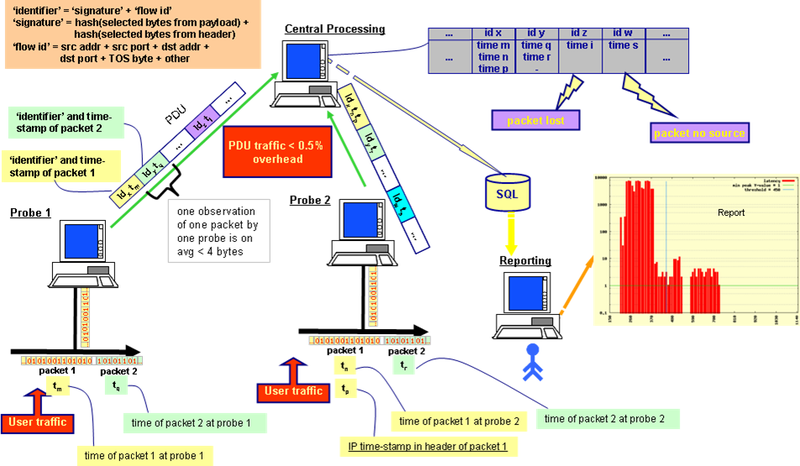 It is based on a number of software network probes that look a the network traffic, and send information to a central collecting point. At this central collector (Central Processing System) packet latency and other Key Performance Indicators KPIs) are calculated and reported. The TrafMon tool has already been used by ThalesAleniaSpace France for the qualification of the links between Galileo Mission Control Center in Italy and, respectively, the Galileo Sensor Station and Galileo Uplink Station in Kourou, French Guyana. TrafMon features several important characteristics that uniquely addresses rather specific needs not otherwise responded to by other market products. 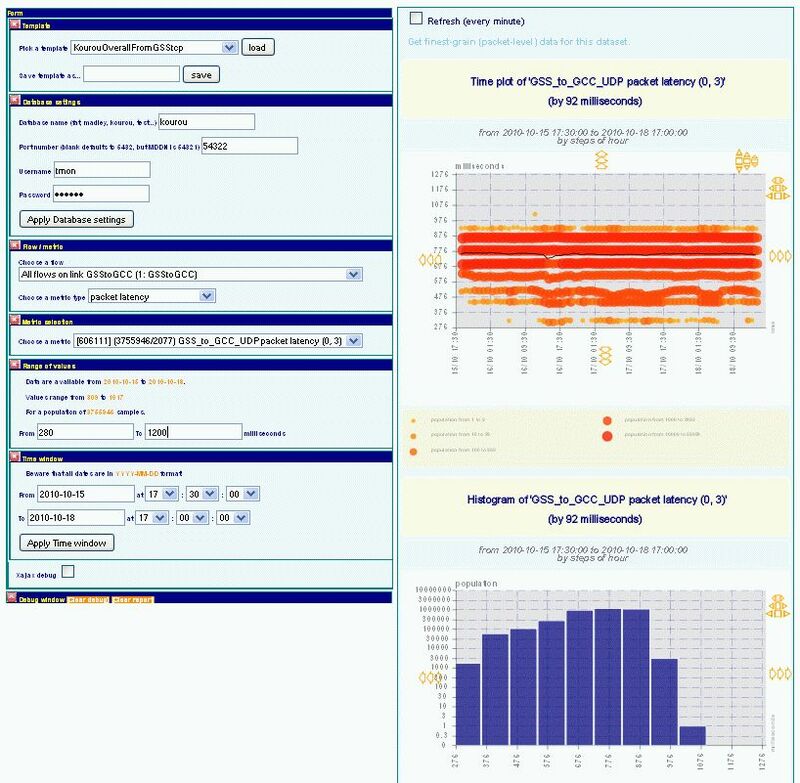 The TrafMon tool responds to the dual need of temporarily troubleshooting under-optimal quality of critical network links as well as in continuously reporting on quality metrics and on traffic behavioural characteristics of communicating applications. TrafMon measures the actual user traffic instead of requiring injection of supplementary measurement traffic load. TrafMon collects is measurements at one or several points in the network path and from within the site access infrastructure. The TrafMon probe is a lightweight software component that can be deployed on non-necessarily dedicated Linux computers equipped with one or more probing network interfaces. The TrafMon probes measurements can be centralised online, in order to display the live performance figures within minutes. The TrafMon unique technology and flexibility of deployment is further described in the present TRAFMON-III WHITE PAPER.